OMEGA Piloted Aircraft Microstop Countersink Cutters are used to make precision countersinks to accept flush-head fasteners. OMEGA Piloted Aircraft Microstop Countersink Cutters feature a 5/8'' body diameter, high speed steel, 100°, 1/4-28 thread. OMEGA Piloted Aircraft Microstop Countersink Cutters are designed to be used for countersinking holes for 5/16'' or smaller diameter fasteners. The flush fasteners head diameter must not exceed 9/16'' to guarantee proper seating of the screw. 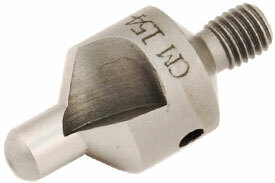 OMEGA Countersink Cutters are precision ground to exact tolerances to insure concentricity. OMEGA Countersink Cutters can be used in any microstop cage that accepts 1/4-28 threaded shank cutters. The OMEGA OM154-58-3/16'' Piloted Aircraft Countersink Cutter, 9/16'' x 100 x 3/16'' is one of thousands of quality tooling products available from MRO Tools. Please browse 9/16'' x 100 Degree HSS Piloted Aircraft Microstop Countersink Cutters for tools similar to the OMEGA OM154-58-3/16'' Piloted Aircraft Countersink Cutter, 9/16'' x 100 x 3/16''. 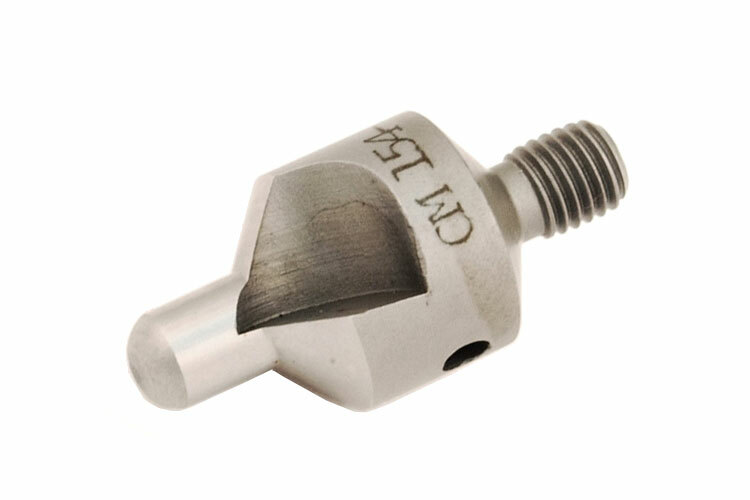 OMEGA OM154-58-3/16'' Piloted Aircraft Countersink Cutter, 9/16'' x 100 x 3/16'' description summary: OMEGA Piloted Microstop Countersink Cutter, HSS, 9/16'' Body Diameter, 100 Degree Angle, 3/16'' Pilot Quantity discounts may be available for the OMEGA OM154-58-3/16'' Piloted Aircraft Countersink Cutter, 9/16'' x 100 x 3/16''. Please contact MRO Tools for details.